As the proud mother of two young children, Dr. Tiffany McCormack knows what a gift it is to become a mom. As a distinguished plastic surgeon, she knows the physical rigors that the body goes through during pregnancy and how to reverse their effects. She has helped many patients in the Reno, Nevada and Lake Tahoe, California areas to enjoy the best of both worlds—the joy of having children and the confidence that comes from looking and feeling your best. Please contact Dr. Tiffany McCormack for more information on her background and credentials, or to schedule a consultation for a Mommy Makeover. Dr. McCormack graduated from the University of Arizona, College of Medicine, going on to complete her plastic surgery residency training at the prestigious Stanford University Medical Center. Dr. McCormack went on to practice in the San Francisco Bay area for four years while her husband completed his own medical training at Stanford. They relocated to the Reno/Tahoe area to be near family, and to establish a home with their two children in this beautiful part of the country. She stays up-to-date on the current technologies and techniques in plastic surgery by continuing her medical education and embracing state-of-the-art advances for use in her practice. Dr. McCormack completed a rigorous examination process to become board-certified by the American Board of Plastic Surgery. She is also a Fellow of the American College of Surgeons and an active member of the American Society for Aesthetic Plastic Surgery, and the American Society of Plastic Surgeons—all prestigious medical organizations which offer membership to only the most skilled and experienced surgeons. 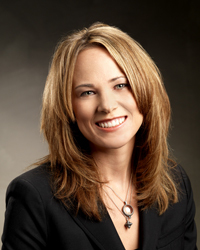 Dr. Tiffany McCormack has contributed to published articles in a number of journals and medical books, covering topics including basic scientific research in wound healing, new innovations in cosmetic enhancement treatment, and deformities of the pediatric hand. She has also participated in presentations for the American Association of Hand Surgery’s meeting in Cancun, Mexico, as well as the American Society of Plastic & Reconstructive Surgery’s conference in Orlando, Florida. Dr. McCormack also volunteers her time and expertise on mission trips to impoverished regions across the globe, providing free cleft lip and palate repair, burn reconstruction, and other surgical needs to patients in the Phillippines. 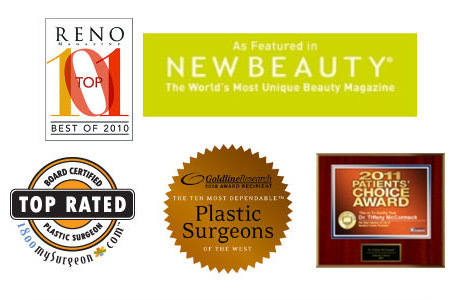 Dr. McCormack was honored as one of the Ten Most Dependable Plastic Surgeons of the West in a feature that ran in Forbes Magazine, and has received national exposure and recognition by being profiled in NewBeauty magazine. Dr. McCormack has been featured on Channel 2 news for stories detailing the loyalty of some of her Bay Area patients who have decided to travel to Reno for further treatment from Dr. McCormack Plastic Surgery; as well as a profile on her state-of-the-art 3-D imaging system. She was ranked among the top physicians in the nation based on patient reviews and was selected for the “2011 Patients’ Choice Award. Dr. McCormack has also been honored with research grants and/or awards from the Aesthetic Surgery Education & Research Foundation, the Plastic Surgery Educational Foundation, and Stanford University. Dr. McCormack is a featured contributor on RealSelf.com.